A will is a legal document that only goes into effect when you pass away. The terms of a will direct how your assets should be distributed to whomever you designate. Beneficiaries of a will could be surviving relatives, friends, colleagues, and even charities. 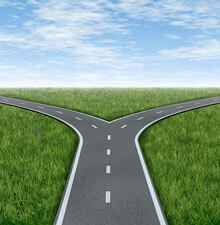 In essence, the will is the most basic and simple of the available estate planning documents. All you have to do in order to make a legally valid will in the state of Michigan is to be at least 18 years old when you make the will, make it in writing, and have it signed by two witnesses. On the other hand, a trust is a more complex estate planning mechanism, which can be used in conjunction with a will or as the main portion of a stand-alone estate plan. The settlor, or the person who holds the assets, designates a trustee, which can be a person or an entity, to hold and manage all assets belonging to the trust. However, the settlor can maintain control over the assets during his or her lifetime, in terms of what assets are transferred to the trust, how the assets are invested, and how they will be distributed upon the settlor’s death. There are many different forms of trusts, and the terms of a trust will dictate whether the trust takes effect during the settlor’s life, after he or she becomes incapacitated, or after death. Whether you need a will and/or trust as a part of your estate plan depends largely on your future goals. If you want to save your heirs time and money by avoiding the probate process, you may wish to create a trust. The assets of a trust do not go through probate, but are distributed according to the terms of the trust. On the other hand, a will must be probated, which can be an expensive and lengthy process. As you can see, there are significant differences between trusts and wills. One or both of these estate planning techniques may be right for you and your family, depending on your situation. However, only an experienced estate planning attorney can truly help advise you about the best course of action for you. 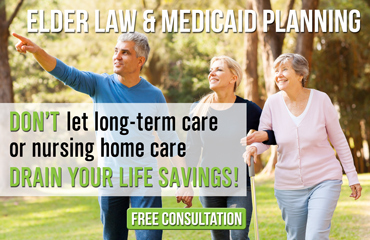 For more information about how to create the comprehensive estate plan that is best for you, contact the Michigan wills and trusts lawyers of Law Offices of The Elder Law Firm PC today.